Growing in a shade garden does not mean you have to give up colour. 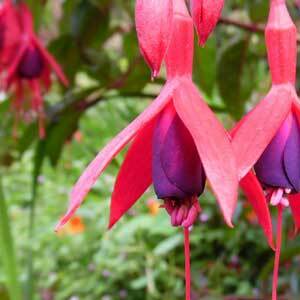 There are many plants with colourful flowers and foliage that can light up even the darkest corner of the garden. 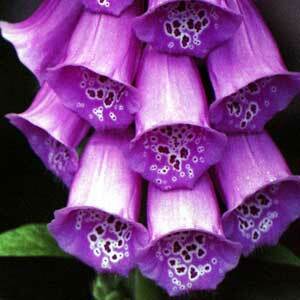 I’ve provided a list of suggested plants and real-life examples from the garden. If you like food gardening, also see vegetables you can grow in the shade. Shade gardens are one of the most overlooked areas in a backyard. 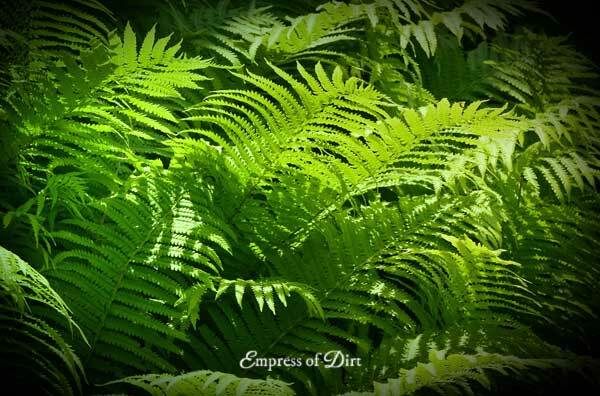 If you’re like me, you love the rich, deep greens of the hostas and ferns, and smell of the moist, earthy soil, but there’s something missing. Colour! 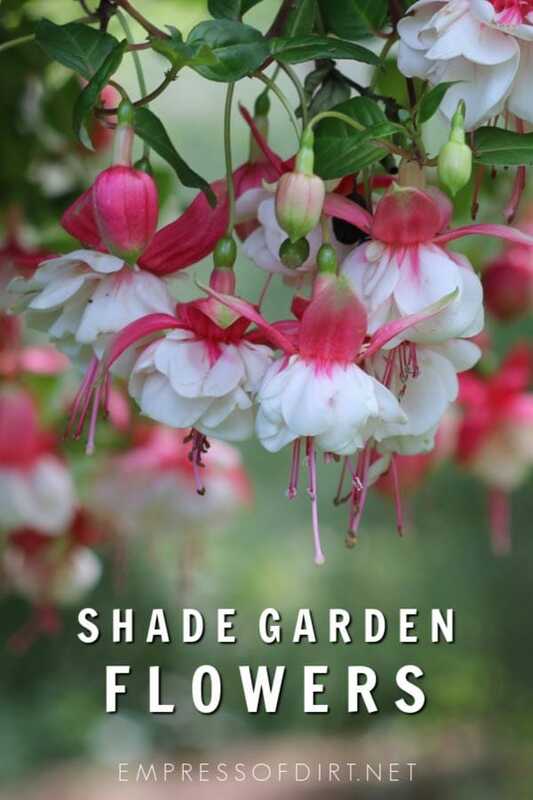 Shade-loving plants provide a perfect background for eye-popping flowering plants and foliage. Full Shade is less than 4 hours of direct sun a day. 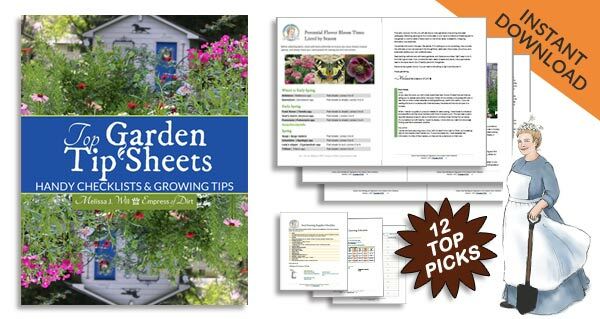 This list shares some of my favorite flowering plants for parts of the garden that receive limited amounts of sun (4 to 6 hours per day). 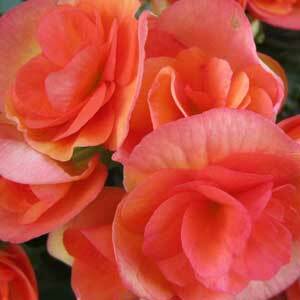 Most or all of them will be sold as annuals at garden nurseries. If you’re lucky, your garden nursery sorts the plants by light preferences, making it easy to find the ones perfect for your growing conditions. Keep in mind that there are hundreds, if not thousands of hybrids available, and growing conditions vary. Use this list as a starting point and then check the plant tags before buying to be sure you can provide what the plant needs to be happy. Also, I always recommend growing plants like these ones in containers. 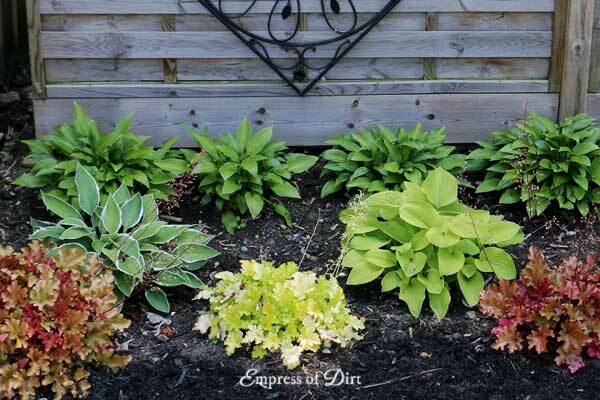 That way, you can provide the best growing medium (potting mix for containers), keep the plants properly watered, and not have to worry about poor growing conditions or tree roots that tend to interfere with in-ground growing in shady areas. Most of these examples are from my garden. 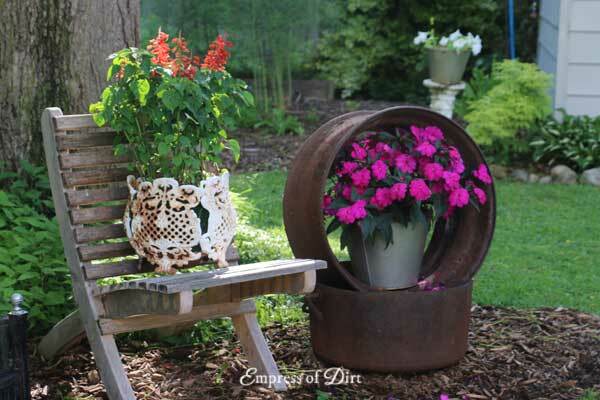 A massive, old walnut tree casts heavy shade on this part of the garden, so, instead of battling poor soil and tree roots, I place all the flowering accent plants in containers. 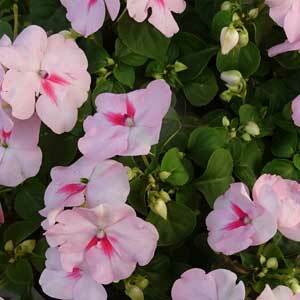 With just an hour or two of late afternoon sun, it’s perfect for the impatiens (pink) and dwarf salvia (red). Further back in the garden, the ferns are thriving. We don’t really think of these as colourful, but they really light up with some dappled sunshine. 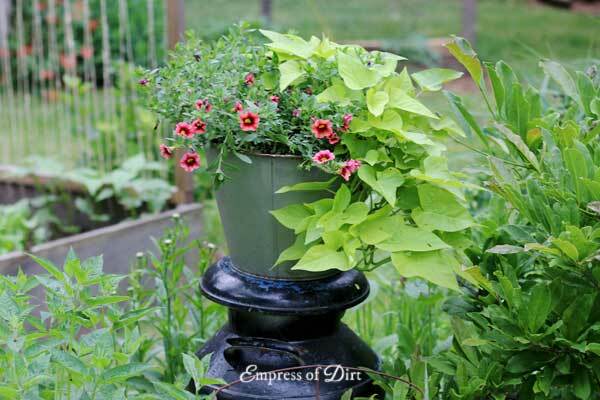 Potato vine is a favourite for container gardening. 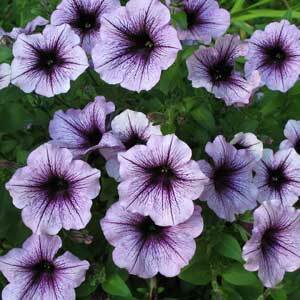 Here, combined with some gorgeous petunias by Proven Winners, they thrive in partial sun. 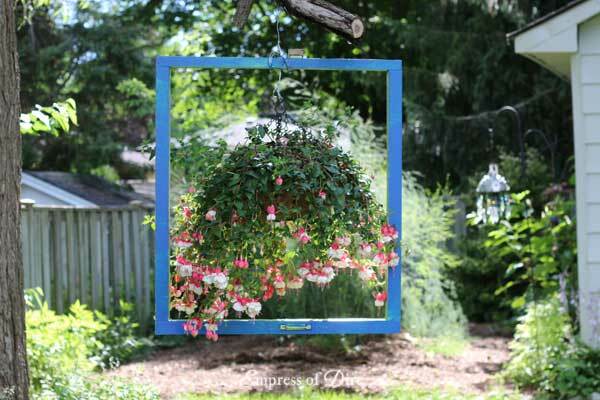 I also keep fuchsias in hanging pots in the shade garden. 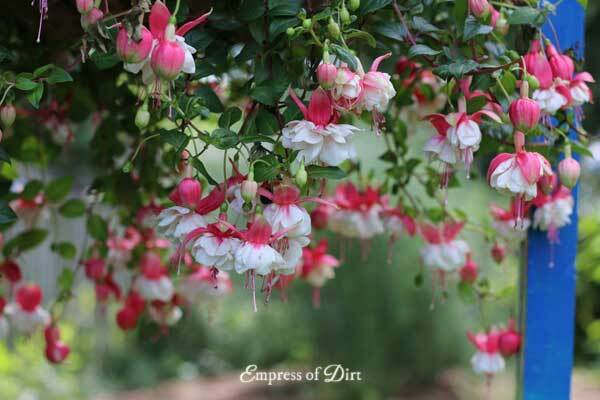 They do not like to dry out, and placement out of direct sun helps keep the soil moist. 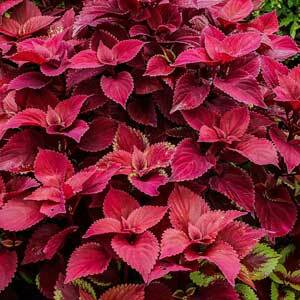 Another non-flowering option for colour in a shade garden is heucheras (shown below in front of the hostas). There are so many gorgeous colours these days including golden yellows, bright greens, oranges, and reds. I would have hundreds of them if I could. 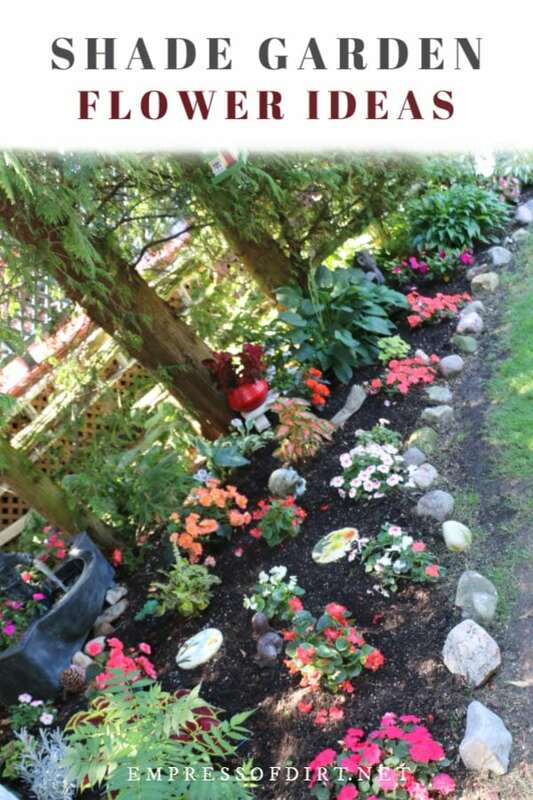 Even one pot of colourful flowers is enough to transform a plain, shade garden area. And, good news, there are plenty more than I have listed here.